This is an old story, from a time when Badami was yet to have climbing routes of grade eight. I noticed Badami when my rock climb failed. A high rock face to climb trad-style, but few minutes into it my mind panicked. It fled into the `can’t-do’ zone, from there to the `why-do?’ and eventually the `won’t-do’ zone. I lost my confidence, packed up my rucksack and walked away to nurse my shattered ego. I had been climbing for close to a decade and yet I cannot do this? Perhaps this vertical business with challenges every second is not for me. It rankled, for up there, you are alone and have to work things out yourself. 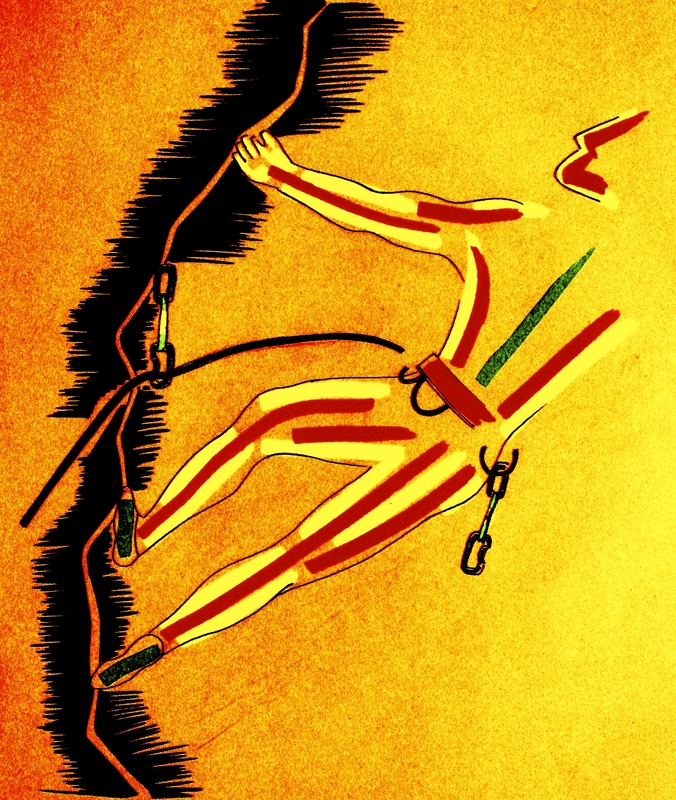 Having tasted climbing before, defeat hit me hard; exiled me into the realm of ordinariness. Who likes that? Badami is one of the best places I have climbed in. When the light is right, it’s beautiful sandstone glows. From a climber’s perspective, I found the rock suited for my style and grade of climbing, which was beyond beginner level but still intermediate. The rock sported a variety of holds ranging all the way from painful pinches to thank God-jug holds. Above all, the rock had a gentle, sandpaper feel to aid friction. You found climbs to encourage the beginner; engage the enthusiast and obsess the expert. In a world where 9a was the toughest climbing grade yet, Badami had plenty of routes in the sixes and sevens. I was witness to an attempt by French climbers to open something in eight. The hardest I could manage on lead was a low six. Probably when in fighting form in the head and body, I could nudge that up to a mid six. What I loved about Badami were two things – first, if you got tired doing long climbs, there was always plenty you could dig out from rock, to boulder; and second, this wasn’t a place that imposed a climbing style on you, here the rock allowed you expression. You just had to look around to find a line somewhere to call your own. Problem with me had always been the mind. It had a tendency to magnify failure, pick up that train of thought and flush the rest of the brain down the drain double quick. No matter how much I climbed – and I did quite a bit for the average Indian of my age – my mind remained the same. Its inability to perceive my strengths eventually crushed me. I tried disciplining it with positive thought, didn’t work; I tried distracting it with motivational reading; didn’t work. There were flashes of relief, but soon thereafter the slide to gloom and self deprecation would take over. 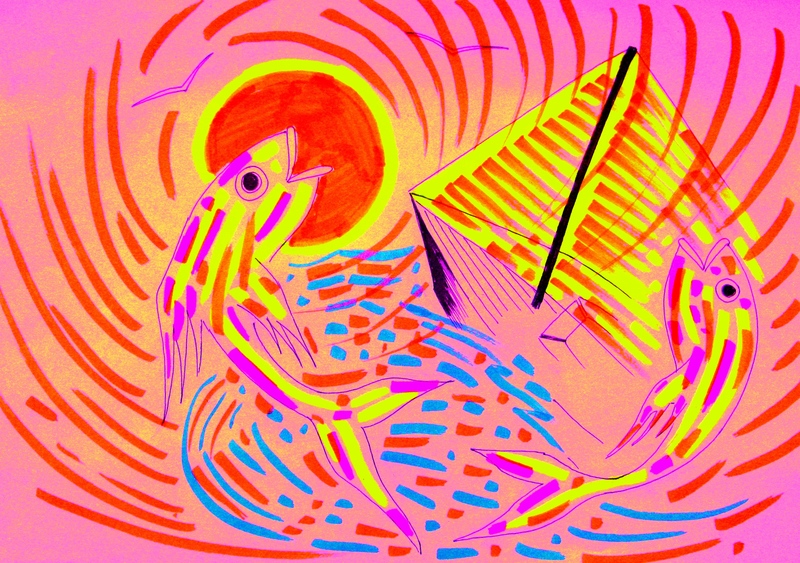 I gave the condition a name – the crab. That’s how the head felt when the lows grabbed you with its pincers. And right then after the failed climb, I could feel the crab groping around upstairs for a strand of grey matter to torment. Badami was dry, dusty. Climbing agenda gone, I began to see the town. Well over a thousand years ago, Vatapi as it was known then, had been the capital of the powerful Chalukya kingdom. In the Badami of today, you hardly suspected such a grand past. The ruins and temples on its edge had design, the town had none. It was a collage of powdery soil, congestion and the regular motifs of clustered human habitation. A demolition drive was on against illegal structures, the bulldozer furiously stirring up dust. Like elsewhere in this country of harsh realities, old glory dies hard and the name of the Chalukya kingdom’s greatest ruler, Pulakesi, showed up on a board or two. In the world below the boards with Pulakesi’s name, children asked for a school pen; not getting which, they sought a chocolate and failing that, a one rupee coin. There is even a climbing route called `school pen’ – so ubiquitous is the request! I began my exile from climbing with a visit to Banashree Restaurant. Upendra Kumar served me a plate of idli-vada. He was typically a very reserved person whose demeanor betrayed disinterest in matters other than his own immediate work. For some reason that day he enquired where I had been. Probably sensing a day not gone well, he recommended that I visit Badami’s archaeological sights and rattled off details as in a guided tour. He spoke in English; I could imagine him holding forth in one of those rock-cut caves, a group of foreign tourists tuned in gravely. In fact, he had worked as a guide before he became a waiter. At snack’s end, I paid the bill and offered him a tip. He declined it, saying, “ service is my duty sir.’’ He smiled, wiped his hands on a small towel, returned the towel to his shoulder and left. Red-faced with embarrassment, I suddenly realized you don’t have to climb or build empires, to be extraordinary. You just have to do a good job with whatever you are engaged in. The day before, Lakshman had carried his situation with similar dignity. Hailing from Belgaum, the post graduate in social work lectured at a college in Badami. He was once selected for a job at one of the companies of Godrej in Mumbai but caught typhoid and couldn’t make it. Not one to waste time over the setback, Lakshman had then registered to study law alongside his job as lecturer. He was wandering around the town’s sandstone rocks, text book in hand, when he saw the group of climbers attempting routes in a discreet gap between high rock walls known to crag hoppers as Badami Deluxe. “ So, this is a game for you?’’ he asked, attempting what many people strain to do – read logic into the act of man courting the vertical. Popular belief is that everything has to finally boil down to a set of comprehensible urges, like why you play football or cricket. 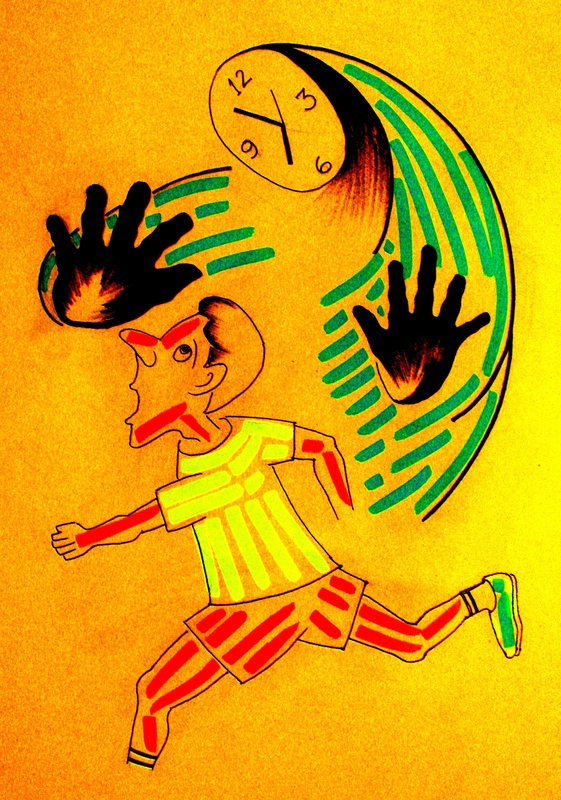 You know that the target driving all the physical activity on the field is to score a goal, take a wicket or score runs. In sharp contrast, climbing typically loses its wealth of dimensions when forced into paradigms of competition, fixed time and forced result. The times climbing gripped me the most was when personal universe shrank to a dialogue between self and rock. These are moments of near emptiness in the head or acute focus on the immediate. It is actually hard trying to explain why people climb rock or for that matter, endure the hardships that come with ascending a mountain. 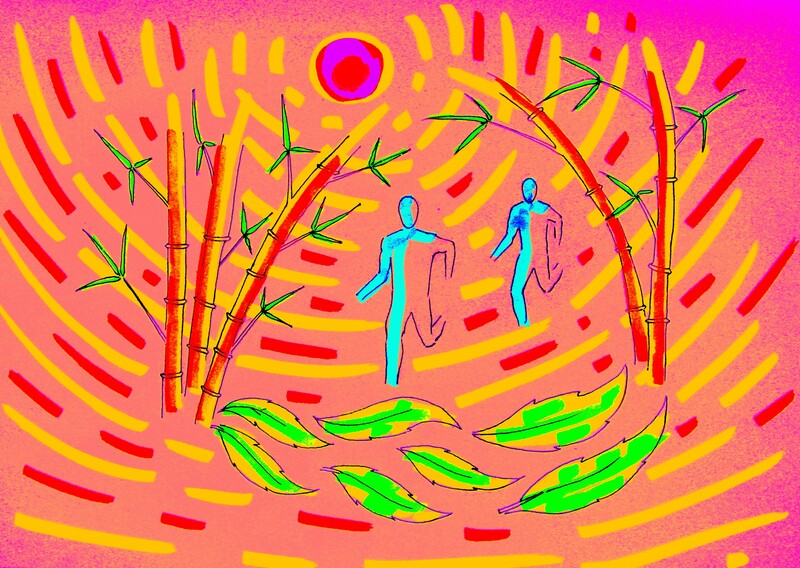 As regular life remorselessly patronizes the rat race, such pursuits as chasing endorphin or courting emptiness in the head or feeling good through alternative perspectives of life – they gather momentum. Tragedy however is that we bring rat race to the alternatives too. We are our worst nightmare. In my experience, the first move in climbing is akin to taking a chance. Thereafter, what keeps you in the game is a combination of your wish to taste what you are aspiring for and the knowledge that your limits can be pushed. You fail many times. In right company, failure is positive fun (right company, as always, is hard to find). No amount of watching climbing will put you adequately in the zone to appreciate what’s going on up there on rock for the amount of experience climbing shares with the observer is very limited. This is a doer’s sport. When you convert it into an arena based-event, the ones in the audience connecting convincingly to the moves on stage are climbers. It is easy for climbing to thus get dismissed as a pretty selfish pursuit something reinforced by its own eccentric rituals like callused skin, fascination for climbing moves and the use of chalk almost as metaphor for clarity. Crimping or the art of pulling on nearly non-existent rock features hurts the fingers due to the inordinate strain it imposes on delicate joints otherwise used to easy tasks. Climbers merely tape up the joints with plaster to enhance local support and continue chasing their obsession, the pain buried by the mind’s fixation on the route and the encouragement of others with tape on their fingers. That’s why on most occasions climbers make sense to only their community. It is a tribal bonding that management consultants and marketing types like to showcase (rather incorrectly) for team building. But none of that would ever get close to what you likely feel when you are one of the real climbers. An authentic climber, I suspect, may not even be aware of the tribe. He / she is aware of just the rock, blissfully exhausting a lifetime’s supply of mental focus and physical energy on investigating why person shouldn’t stick to challenging rock face like a lizard and move up. From the rock climber tackling a boulder to one on a high face to the alpinist attempting a several-day challenge on snow and ice, there is a certain self imposed isolation that characterizes climbing and climbers. Climbers give off this attitude that they don’t require the rest of the world for company. I see it as the experiential impact of the sport they pursue, which is marked by focused attention on what is at hand, rarely what is around. When I was into climbing, this bonding by climbing came naturally to me. In exile, I saw it differently. Exiled, I wasn’t what was immediately at hand; I was part of what lay around. Climbers relate through the act of climbing and the world of climbing so overwhelmingly that nothing else intrigues for stimulation. When you drop off that world, climbers have no value for you. It is like a blip seen no more on radar. Now, try explaining all this to an observer asking why you climb. So I just nodded and smiled at Lakshman’s query. If he was earnest in finding answers for his question, the next time I came to Badami, I would find him a climber. If he wasn’t earnest, well I saved climbing from one more potential critic. However, what struck me about Lakshman was something else. I have always been agitated by my inabilities; especially, if others could and I couldn’t. I never got my climbing peace engineered the proper way. For all the monastic tranquility I confer on climbing it is a thin line that separates the act of climbing from degeneration into a mentally self destructive engagement. Because it is a difficult art, failure is frequent. Courtesy the simple truth that you are either climbing or falling, there is no place for the ego to hide when failure strikes. Your friends may say it is okay if you failed, even you may counsel yourself so. 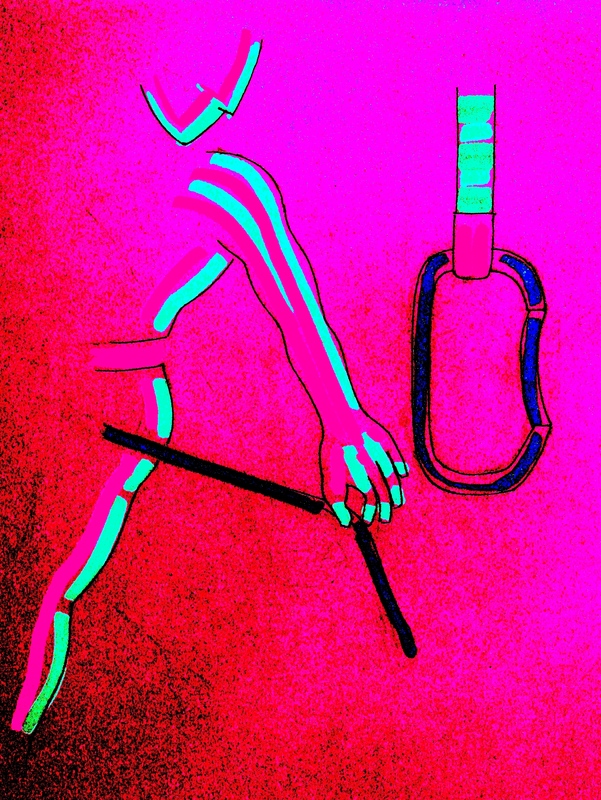 But the inner self weaned on climbing’s harsh lexicon, knows YOU failed. That’s what happened to me that day in Badami. I let the pressure crack me up. Then someone else of my grade climbed the route smoothly. It burnt the failure in. I had always had problems leading on rock and that incident crushed me. I felt I didn’t deserve repeated failure after years given to the sport. 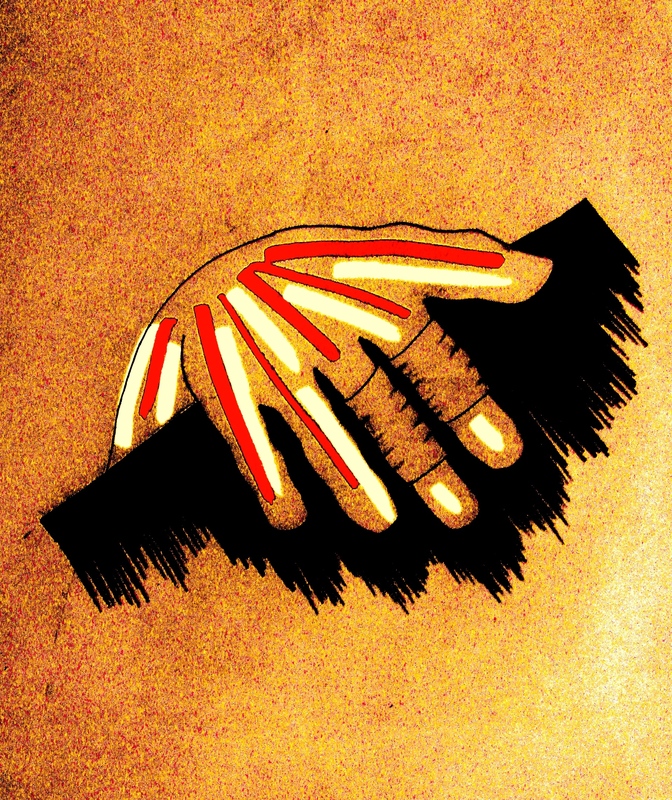 Why was I still struggling, when every molecule in me wanted to climb? My failures told me in an unadulterated way – I was doing something wrong. I wanted help. I got none. The failures stayed. Looking back, I feel, climbing was for me a lot like being infatuated with a completely indifferent woman on the strength of maybe one incisive observation about you she made long ago. That one comment stays in your head for an eternity because it was honest and accurate. It is riveting enough to burn her into your mind but it is also true that there is a limit to how much burn a man can take. I get fed up after a while. I admired climbing for its unflinching honesty. I got exhausted of failing to attract its fabled flow. I stopped climbing. Jacques Perrier seemed just the opposite of my frustrated self. To start with, this climber from France was almost sixty years old when I met him through my climbing club. The only time I saw him agitated was when he was bundled into a thickly packed mini-van headed for Badami. I was seated on the engine box next to the driver. Perrier, I am not even sure if he boarded that vehicle or took the next one. I do remember seeing him shocked on the road, beholding the van built on a narrow wheelbase with people stuffed inside and piled on the roof, his hands up in the air as the highly expressive French do when agitated. He may have hated that van passionately but he was passionately in love with rock. And it showed in each and every move he made at Badami, it was smooth, elegant and the way he gripped rock, I could write poetry on that if I had the talent. It was an act of love without the slightest strain showing on face or fingers. In a world where every tennis player worth the brand he endorsed, grunted his way to glory on court, Perrier was a silent artist weaving spell after spell on rock. He was at peace, happy to be doing what he was doing. Lakshman was the Perrier of another world, he appeared at peace with the universe, uncomplaining about his position on the ground while half a dozen crazies sweated, fought and extracted achievement from rock. He was content to be sitting there, books by his side. Before he left, he enquired if we needed help carrying our equipment down the steep gully we had come up. He may not climb but he certainly was a helpful human being. What more should any person be? As I sipped tea at Banashree, the jackhammer’s rat-a-tat was relentless atop Ganesh Prasad, the small cellar-hotel where I used to have breakfast. The food at Ganesh Prasad was often explosively spicy but it was cheap and for those wanting to save money like me, the extra spice muted hunger. Dust and debris littered its entrance as the jumpy machine pounded concrete. Hit by compressed air flowing down a connecting tube, the jackhammer’s pile driver bangs the drill bit down onto the concrete surface. No sooner does it do that, a valve reverses the air flow retracting the pile driver and allowing the drill bit to relax. Then, the pile driver goes down again. In one minute, the jackhammer repeats this cycle fifteen hundred times. That’s some signature of demolition in a town, whose ancient rulers are remembered by their long surviving temples. Everything in life has two sides; where there is construction, there is destruction. Where there is empire, there are ruins. Where there is furious climbing, there is exile. By night, Ganesh Prasad had gaping holes up front and the hotel had temporarily shut down. Illegal the building may have been, but the cheap eatery had greeted the morning with South Indian devotional songs, recreating an ambiance from my childhood in Kerala when dawn arrived with songs from the nearby temple. Anand, our fruit juice vendor, had lost the facade of his shop to the bulldozer. Next morning as I stepped over the rubble for some lemon juice, he bore no sign of remorse. His family was large, seven brothers and sisters. They had three juice stalls in Badami. He would rather think of the promise for business in today than rue the damage inflicted. Life carries on. “ Some fresh lime?’’ Anand asked. “ Yes please,’’ I said. The ordinary was balm for my soul fried by failed climbs. And as it soothed, so the ordinary seemed as courageous and extraordinary as the spectacle of climber on rock. I was discovering a side of the universe I hadn’t noticed before. However I sincerely hope the extraordinary visited eleven year-old Salim who sat watching our last day of climbing at Badami, sullen-faced. He lived with his mother, younger sister and brother. Salim quit school after five years to work at a local hotel. He worked from 7 AM to 9 PM, earning twenty five rupees. His mother washed dishes at the same establishment. The father, given to drinking, worked in Goa and often left the family to fend for themselves. You could sense anger and disappointment in the little boy. Now with strict laws in place, he could not work as well. “ Employers fear trouble if a small boy works,’’ he said. Listening to him, I felt my disappointments in climbing were trivial. Salim needed a king’s blessing or at the very least a bulldozer, to set right his life. The only king around had become a name on the odd signboard, the only bulldozer in town was too ordinary for the miracle he sought. All this was long ago. Badami has since got climbing routes in grade eight, including the high eights. Back in Mumbai, I slowly withdrew from climbing and climbing groups. I did climb in Badami after the episode mentioned in this article but never as involved in climbing as it was previously. For most matters concerned, my exile from climbing continues. I haven’t yet regained my affection for rock climbing. Nawang Tsering ushered me into the room I had been in before. An open window to the east gifted ample sunshine. On the bed was a magazine on running. What had changed was a corner of the room. It seemed to have metamorphosed into a shrine of sorts – a runners’ shrine. The last time I was here, trophies from the Goa River Marathon (GRM) were placed on a shelf in the corner. Now, above the shelf was a line of finisher’s medals from both GRM and the just concluded Standard Chartered Mumbai Marathon (SCMM). A couple of medals that couldn’t be accommodated in this corner were hung at the next corner; sunshine-window in the middle. So far, it had been a fine outing for the team of young runners from Ladakh spending winter running in the warmer regions of the country. The medals and trophies marked their journey. At the 2016 SCMM, Jigmet Dolma and Tsetan Dolkar finished third and fourth respectively, in the open category of the full marathon for women. They were apart by just two seconds at the finish. Jigmet finished in 3:27:46; Tsetan in 3:27:48. Sonam Choskit was placed 14th in the same discipline and category with a timing of 4:10:06. In the half marathon segment of SCMM, Tsering Dolkar (1:44:30), Diskit Dolma (1:47:35) and Stanzin Chondol (1:53:29) were placed 11th, 13th and 16th respectively in the open category for woman participants. Nawang (1:24:37) finished 23rd in the open category of the half marathon for men. Three of these runners had been at SCMM before. Jigmet was ranked second in the open category in 2015. But that year her timing was 3:45:21. At the 2016 SCMM, she was eighteen minutes faster. Tsetan last ran the full marathon at SCMM, in 2014. She was placed 26th in the open category completing the run in 4:15 (timing provided by Tsetan). That would mean, in 2016, she knocked off 48 minutes in her timing. Sonam ran the full marathon in 2015 in 4:44 (timing provided by Sonam). A year later, she had cut the timing by 34 minutes. “ They have improved well,’’ Skalzang Lhundup, the team manager said. The improvement is not just between last year and now. On December 13, 2015, the team had participated in GRM securing six podium finishes, the first time many of them were doing so outside of Ladakh. All six podium finishers from GRM have improved their time at SCMM. Tsetan’s gain stands out. From GRM to SCMM, both events separated by just over a month, she cut her timing in the full marathon by 38 minutes. Still, in terms of timing, there is a long way to go for this young team. On the Internet, the Association of Road Racing Statisticians (ARRS) has a page on Ladakh’s Rigzen Angmo. According to it, in November 1995, when she won the Bangkok marathon, her timing was 2:51:14. Her personal best, reported in February 1996, is listed as 2:45:42. Both these timings are considerably faster than the open category winner of the women’s full marathon at the 2016 SCMM (for more on Rigzen Angmo please click on this link: https://shyamgopan.wordpress.com/2015/09/28/the-spectator/). For the past few months, Savio D’Souza, veteran marathoner and well known coach in Mumbai, had been overseeing this young team’s training (incidentally, Savio finished first in the 60-65 age category of the 2016 SCMM’s half marathon for men with a timing of 1:36:42). He was in Leh in September 2015, around the time of the Ladakh Marathon, to meet the runners and impart training tips. Besides this team of youngsters, the Indian Army’s Ladakh Scouts regiment had a clutch of runners participating in SCMM’s full marathon. Skalzang could remember the names of the Ladakh Scouts personnel at SCMM. The event’s website provided the following rank and timing: Padma Namgail (3:03:34; 8th out of 1126 finishers in the open category for men), Stanzin Norboo (3:05:42; 11 / 1126), Rigzin Norbu (3:12:51; 27 / 1126), Tsering Gyatso (3:19:05; 39 / 1126), Tsering Stobgais (3:12:02; 24 / 1126), Tsering Tondup (3:12:50; 26 / 1126), Tashi Paldan (3:16:57; 36 / 1126) and Fayaz Ali (3:36:57; 71 / 1126). On January 24, Nawang Tsering and Stanzin Chondol will return to Leh for their board exams. The rest of the team hoped to stay on in Mumbai and participate in the Thane marathon before returning to Leh by late February. It will still be winter in Ladakh when they reach. “ We can continue doing our strengthening exercises, maybe manage a short run in the evening in February,’’ Jigmet said. Anything closer to regular running – regular as perceived by those used to cold and snow – that would have to wait at least till mid-March. The youngsters hoped that in 2016-17, the team will add more events to the itinerary, to visit and run at. This team of Ladakhi youngsters was assembled and supported on its trip by Rimo Expeditions. The company organizes the annual Ladakh Marathon. On the evening of January 15th, a person of medium height, athletic build and younger in appearance than his 60 years on the planet, got off a long distance train at Mumbai’s Kurla Terminus. Hailing from a village in eastern Uttar Pradesh, he spent the night with village brethren staying in Sakinaka, a north Mumbai suburb. Next morning he made his way to South Mumbai where he collected his bib for the 2016 Standard Chartered Mumbai Marathon (SCMM). The following morning – early morning to be precise – SCMM’s full marathon was scheduled to commence from Azad Maidan near South Mumbai’s CST railway station. He had a title to defend and zero appetite for any potential vagaries in transport, should he attempt reaching the marathon venue from Sakinaka in the early hours of 17th. He asked around at the bib collection centre if there was some means to stay overnight at the venue or be accommodated close by. He was told there were no such arrangements for his category of runner. He returned to Sakinaka, picked up what he required and by evening, arrived at CST. Sabhajeet Yadav then did what he had done before on some of his visits to Mumbai for SCMM – he slept at the railway station. On the night of 16th, as he spread out a bed sheet on the station floor he wasn’t the only runner doing so at CST. “ There were others,’’ he said. Most of them were like Sabhajeet, outstation runners finding hotel rooms an expensive proposition. Unlike those attempting sleep on its premises, a busy railway station never goes to sleep. “ I barely managed to sleep an hour. You are disturbed by people moving here and there. The police also kept waking us up,’’ he said. Early morning on the 17th, it was from CST that Sabhajeet reported for the SCMM full marathon. Three hours, 22 minutes and 30 seconds after he started his full marathon run, the farmer from Dabhiya finished first in his age category for a fifth time at SCMM (for more on Sabhajeet please click on this link: https://shyamgopan.wordpress.com/2015/11/28/a-farmers-dream/). He didn’t know right then that he had won. That was told him later in the afternoon by Bhasker Desai, the Mumbai-based businessman and runner who has helped Sabhajeet with event selection, registration and other details, for some years now. Morning of January 19th; we were back at the cafeteria in Kurla Terminus. Sabhajeet’s return ticket on the Chhapra Express wasn’t confirmed yet and there were those passenger lists to check on the platform. But a chat on running couldn’t wait. Three cups of tea and a small snack quickly had, marked the minutes ticking by. “ This time the run went off smoothly. It was a very good run. I did not feel the distance at all. Only thing is I have been running a lot in the last few months. Perhaps if I had rested some more in between, my timing would have been better,’’ Sabhajeet said. As yet, his personal best was 3:15:38 at the 2014 Bengaluru (Bangalore) Marathon. All the same he was on the lookout for a couple of more races to run before the running calendar tapers off into the dead heat of the Indian summer. Then there was this brochure he was curious about – the Endurathon 54, due in February in Dadra & Nager Haveli. Sabhajeet had never run beyond a full marathon distance and 54 km was outside the marathon limit but not terribly so. It was eating his curiosity. With a train to catch and a ticket to confirm before that, conversation had to be kept short. He rushed off to the platform while we rushed off for platform tickets. Minutes later, he phoned, “ S1, seat number 41.’’ It was a window seat; we found him there, in a crowded train with four people seated on most of the lower berths. 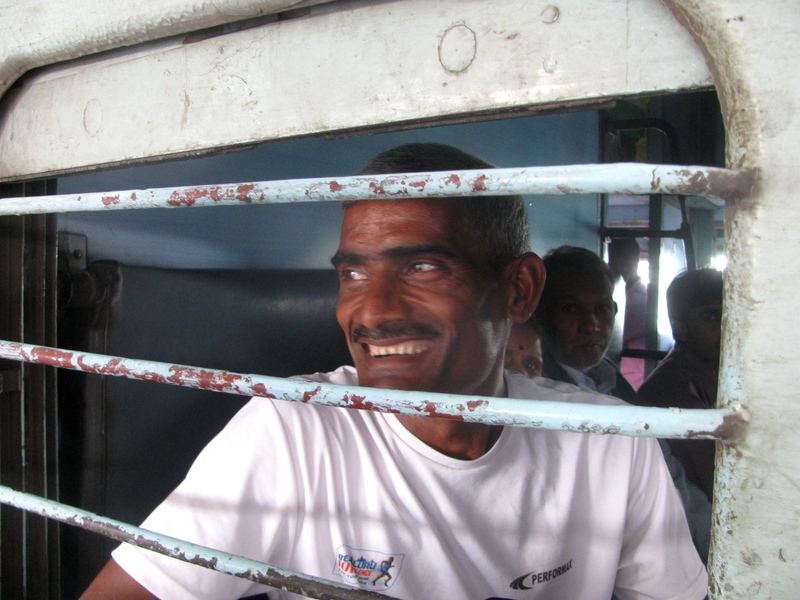 “ I told the ticket examiner that I had come to Mumbai to run the marathon. He immediately marked me this seat,’’ Sabhajeet said. Some more conversation and then we took leave; until next time. On the road opposite the bus depot in Panvel is a small restaurant called Visava. During weekends, it is a well known meeting place for hikers headed to the nearby hills; a round of tea and snacks here is routine before boarding a bus to the drop off point for a hike. It was the day after the 2016 Mumbai Marathon aka Standard Chartered Mumbai Marathon (SCMM). We were in Visava, tucking into hot misal paav, discussing a piece of news that the staff and students of Namdev Bua Khutarikar Vidyalaya, a school in Taloja, were yet to know. For that matter, except runners in Panvel, nobody around probably knew what the school’s PT teacher had achieved the day before. On Sunday, thanks to fellow runners who enrolled him for the event, Kamlya Joma Bhagat had run his first half marathon at SCMM. Not only had he not run at the event previously – SCMM is India’s biggest marathon and it’s richest in terms of prize money – he had also not seen it as a spectator. Panvel is slightly less than 50 km from South Mumbai, where much of the SCMM action is. Hailing from poor circumstances, Kamlya lived in Fanaswadi, a small village some distance from Panvel. His house when we visited him in the summer of 2015, was little better than a hut, composed of one room and a sit-out. Life had been tough. He ran despite the struggle and often, to address it, for races have prize money. Although 50 km is not a great distance, SCMM was peripheral to Kamlya’s predicament. Running is universal. But running events are typically in cities. Events are accessible for a registration fee; then there is the cost entailed in physically accessing the venue, staying in distant towns and cities. Most runners take this expense for granted. These days urban India has money. People regularly travel around running at various events. But what if – urban or rural – you don’t have that kind of money? “ This was my first time at SCMM. Others got me registered to run at the event, so I went,’’ Kamlya said of the 2016 edition (for more on Kamlya please see https://shyamgopan.wordpress.com/2015/06/12/half-or-full-thats-the-question/). From time to time, he has been supported by fellow runners; names mentioned in this regard included Chetan Gusani, Bijay Nair, Philip Earis and Dnyaneshwar Tidke. Having been a runner since his high school and college days and having participated in some races, Kamlya knew that on a good day he could finish in the top 20 lot at an event. In fact, a couple of months earlier at the Bengaluru (Bangalore) Marathon, he had finished fifth in his age category in the half marathon. A regular runner averaging anywhere between 5-15km on his daily practice runs, Kamlya can run a half marathon at short notice. According to him, he is by nature a runner who is comfortable at speed; he has to consciously remind himself to run slowly when training. And because that is a conscious reminder, the moment he forgets it and drifts to comfort zone, he finds himself moving fast. That’s how Kamlya became a half marathon specialist. He wants to try running and finishing the full marathon. But not yet. He does not want focus on the full harming his ability in the half. Kamlya didn’t train specifically for the SCMM. There was nothing like months and weeks of preparation. “ With the SCMM in mind, I trained for two weeks, that’s all. Of that, during the second week, I trained only three days. The remaining days I rested,’’ he said. On January 17, 2016, he left his house in Fanaswadi at 1 AM to reach Panvel and travel with other runners from there to Worli in central Mumbai, the starting point of the half marathon. Worli is close to the sea. Commencing there, the half marathon route goes over the Worli Sea Link – a beautiful bridge across a stretch of sea with SCMM being the only time of the year runners get to be on it – toward South Mumbai and the iconic CST Railway Terminus, near which the run concludes. “ I ran the first ten kilometres very well. Then I had to slow down a bit,’’ Kamlya said. Race details for bib number 18252 show that the first 5.5 km went by in 18:25 minutes; the 10.5 km mark was touched in 36:26 with an average speed of 17.3 kmph. Grounded by injury and second time unlucky at running my first SCMM, I was walking toward Marine Drive early Sunday morning, when the first of the half marathon runners whizzed past near Ambassador Hotel. I took a couple of photos of the runners and then gave up for the sun hadn’t risen yet and my small camera wasn’t suited for photography in dim light; its flash was also too weak to throw a strong beam that far. I remember wondering: is Kamlya running this time? There was a point therein when I thought I saw him go by. Then I said: not sure if that is him. Kamlya said he concluded his race with a strong feeling that he had probably lived up to what he expected – a finish in the top 20. He left South Mumbai thinking so, no more, no less. Later that evening in Panvel, his friends broke the news: he had topped his age category (30-35 years) in the half marathon at SCMM with a finishing time (chip time) of 1:16:56. Event results show that he was first in his age category and 14th in a half marathon field of 11,805 finishers; 14th again among 9782 male finishers. Years ago, when I was in school, April-May was crucial. In those months, depending on how efficient the government of the day was, tenth standard results got published in Kerala. The top rank holders were prominently featured in the media. On the day of results, classmates were sieved to individuals. Marks asserted themselves as formidable sieve. The brilliant ones took science and math to be doctor or engineer, the near brilliant embraced commerce for eventual MBA or CA and the balance sought refuge in arts. It was a day or two of madness in which, academically brilliant teenagers were positioned as genius for eternity. They thanked their parents, grandparents and teachers – a neat little Oscar acceptance speech, which appeared in the media. The news reports were supposed to be ` inspiring.’ I was an average student. Tenth was for me, a pain. There was life before tenth and plenty of life after, yet the tenth-board exams were deemed decider of life. I was glad to get it over with, study arts and end up doing many things, among them – the occasional distance run. Unfortunately the long arm of our board exam-mindset, reaches out into running too. As we obsess with timing and performance for distinction, I sometimes wonder – how far should I run to escape the recurrent ghost of April-May? Then I realize it is my head that is the ghost’s home. Here’s an edited abstract from Wikipedia on how the site describes running: Running is a method of terrestrial locomotion allowing humans and other animals to move rapidly on foot. Running is a type of gait characterized by an aerial phase in which all feet are above the ground (though there are exceptions). The term running can refer to any of a variety of speeds ranging from jogging to sprinting. It is assumed that the ancestors of mankind developed the ability to run for long distances about 2.6 million years ago, probably in order to hunt animals. Running has been described as the world’s most accessible sport. I chose Wikipedia because it was a mere click away. I am sure there are other sites and books that have explained it as well, perhaps better. They will all agree on a few things – most of us can run; running is very old in the history of our species. Over centuries of human evolution, it has also become a simple thing to do. Indeed the beauty of running is its simplicity. Even amid injury (as I am right now) and the realization that this seemingly simple activity has become a high impact sport thanks to contemporary lifestyle, one’s desire to get back to running is fueled by its perceived simplicity, not complexity. Running is widespread, simple, accessible and enjoyable. Unless that combination of our times – money, media and marketing – decides to keep it otherwise; a case of our own instincts and weaknesses packaged as industry, then returned to haunt the head. Let’s not make a board exam of running. I can hear the ghost laughing. Early December 2015, the INSV Mhadei – the Indian Navy’s sailboat with two circumnavigations and several long voyages to her credit – was tasked with a short trip. She was to proceed from her home base in Goa to Karwar, pick up materials needed for the upcoming February 2016 International Fleet Review (IFR) in Visakhapatnam (Vizag) and return to Goa. The iconic vessel had as its crew four woman officers – Lieutenant Commander Vartika Joshi, Lieutenant P. Swathi, Lieutenant Pratibha Jamwal and Sub Lieutenant Payal Gupta. While Payal joined later, Vartika, Swathi and Pratibha had been the Mhadei’s crew since April 2015. They had started off their tenure by training in the basics of sailing at the navy’s facility in Mumbai followed by theoretical training in seamanship, communication, navigation and meteorology at Kochi. After these stints, they had been at Goa, sailing the Mhadei, improving their sailing skills and getting to know the boat better. Besides supervised sailings and monitored ones, they took the boat out by themselves for short trips in the vicinity. 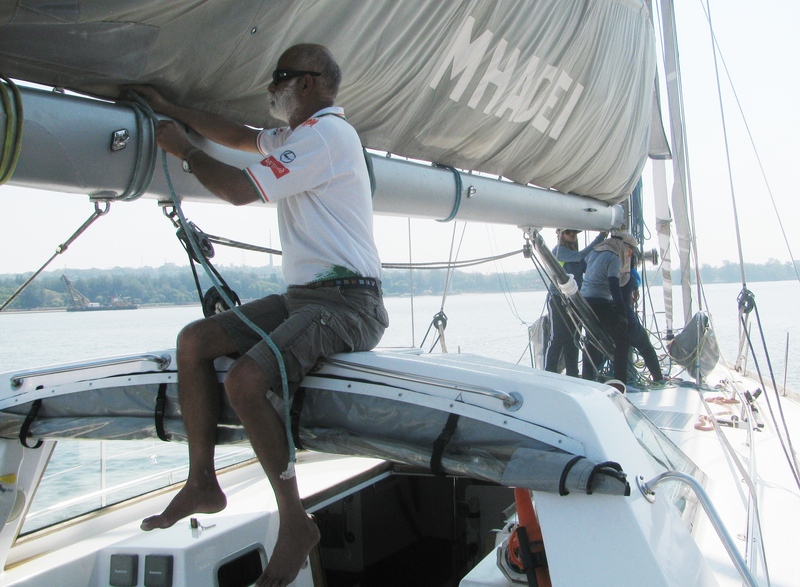 Their mentor – as well as mentor for earlier crews on this history-making boat – is Commander Dilip Donde, the first Indian to do a solo circumnavigation. It was his job to train an all woman crew for the Mhadei. He had seen the trainees at work; he was confident of their ability. When the trip to Karwar drew close, Donde asked, “ should I come along?’’ It seemed a fine juncture in the training process, for him to step back and have the crew take charge of the boat. The woman officers decided to sail by themselves. They had 2-3 days to plan everything. 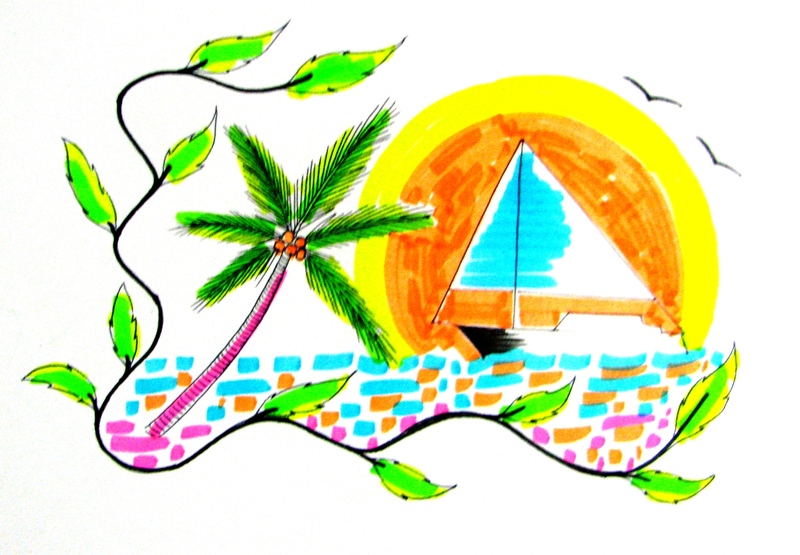 Goa to Karwar is a distance of approximately 40 miles by sea. Around 15:00 hours on December 8, the all woman crew – with Vartika designated as skipper – sailed the Mhadei out from Goa. Next morning 9.30 hours they reached Karwar. After picking up whatever was needed for the IFR, the Mhadei commenced her return leg to Goa on December 9, at 14.30 hours. 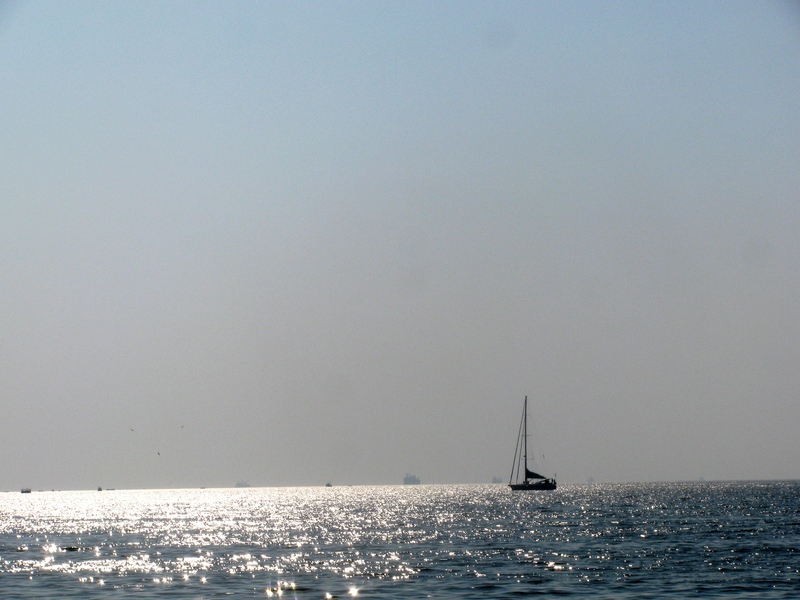 December 10, 11.00 hours, the crew had the boat safely back in Goa. This quietly executed project by the four naval officers – Vartika, Swathi, Pratibha and Payal – is perhaps the first instance of sailing between two ports by an Indian all woman crew. For the navy, this is a small step towards something bigger. 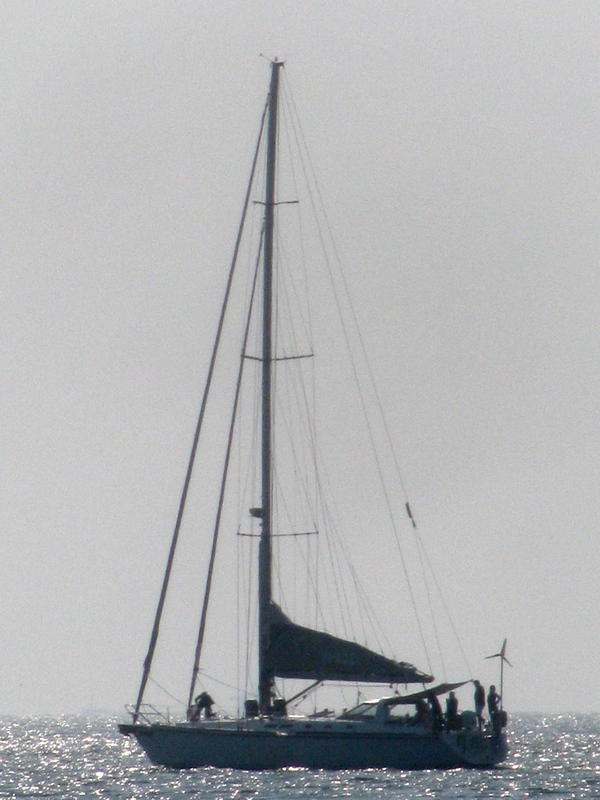 After Tomy’s trip, the Mhadei was doing her share of sailings around the Indian coast and away from it. This included the quadrennial race from Cape Town to Rio de Janeiro, which she had been part of before. The navy issued a signal seeking volunteer woman officers to sail aboard the Mhadei on the upcoming Cape-Rio race. 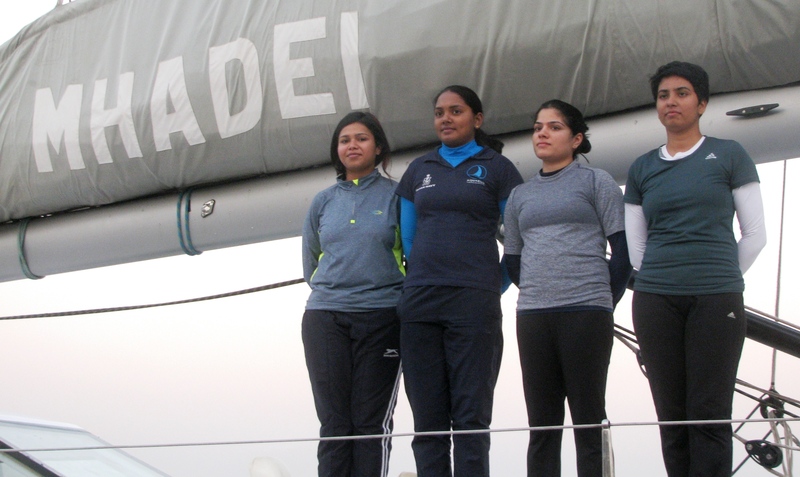 Thus in November 2013, when she left Goa for Cape Town to participate in the Cape-Rio race, the Mhadei had Lieutenant Commander Shweta Kapur aboard as part of her crew. On the return leg from Rio de Janeiro to Cape Town, Lieutenant Commander Vartika Joshi joined in. On the Cape Town-Goa segment, Lieutenant P. Swathi was part of the crew. Subsequently on a sail from Goa to Port Blair, Lieutenant Pratibha Jamwal came aboard. On the Port Blair-Visakhapatnam-Chennai-Kochi-Goa return leg of this voyage, besides Vartika Joshi, Asst Commandant Vasundhara Chouksey of the Indian Coast Guard and Commander Sowjanya Sri Gutta also featured as part of the crew over various durations. For what the navy was gravitating to, the key was who would return to the Mhadei. While the woman officers had volunteered for specific sailings, the idea of long term association with the Mhadei hadn’t been in the frame yet. And long term association was what the navy was nudging things toward. Commander Donde is clear that such long term association with a sailboat has to be voluntary. It is not a decision that can be wholly reasoned or calculated in the head; there’s a lot of heart involved for it is a commitment to the sea. In a sailboat, the duration of ocean voyages can be long. That time and whatever happens in that time must be endured. Sailing in a small boat, powered by wind, is far more difficult than being aboard a big engine powered-ship, where you have many hands for the various tasks. On big ships you also have systems in place. On a sail boat, each member of its small crew must be prepared to do everything that is needed to keep their home on water shipshape and afloat. Both sense of responsibility and the responsibilities are more. Currently in the Indian Navy, woman officers don’t serve at sea. They work ashore. In branches of the navy like its aviation wing, some of them fly as observers aboard shore based maritime reconnaissance aircraft. When the call for long term association with the Mhadei came, Vartika, Swathi and Pratibha responded again. They had previous experience aboard the sailboat; they were also the voluntary returnees, returning because they wished to. Vartika who studied naval architecture, was previously working ashore with the navy on the ship design and construction side. Both Swathi and Pratibha were shore based air traffic controllers (ATC) with the navy’s aviation arm. All of them sought the sea. Payal, who joined later, is an education officer with the navy. Donde said it didn’t bother him that his woman trainees had no background in sailing or work at sea (except for the earlier stints aboard the Mhadei). On the other hand, he appreciated their chance to learn with no preconceived notions in the head, no previous baggage, nothing to unlearn. “ Unlearning is more difficult than learning. Here you have a clean slate,’’ he said. According to him, the sea is always throwing some challenge or the other at you that even an experienced sailor would be well advised to keep his ego in check and be open to learning. “ No two sailings are the same,’’ Donde said. As for gender, which is often made out to be a big issue on land, the sea gives no damn whether a person out sailing is a man or a woman. “ I am happy to work with this team,’’ Donde said. When they first came aboard the woman officers had no idea of the terms used for each item and equipment on the sailboat. They have since learnt the terms, learnt to sail the boat and sail by themselves on short trips with nobody else supervising or available at hand for advice. There is a link between every boat and the people who sail it or imagine its expeditions. Vice Admiral Awati and Commander Donde have known the Mhadei from her design and build days. Her initial voyages and first circumnavigation were with Donde. Ahead of his solo nonstop circumnavigation, Abhilash Tomy in a bid to make himself comfortable with the sea and the vessel that would be his home for a few months, had taken to living aboard the Mhadei. Now, there is a bond growing between the Mhadei and her new crew. Pratibha, Swathi and Payal said that in addition to being their workplace and the focus of their current official duties, the boat has become a hangout for them. During their after work hours too they (Vartika included) find themselves with Mhadei. Needless to say, they ushered in the New Year in her company. Vice Admiral Awati responded by email. “ What a man can do, a woman can do better. I have long detested our tongue in cheek adulation of woman. We put her on a pedestal, then, show no qualms despoiling her or trying to murder her at birth. It is a devastating society for a woman. So what should I, who has no daughter, do? I have to do whatever I can to put the Indian woman in her rightful place vis-a-vis her man who has long patronised a patriarchal society and ensured its continued moral downfall. I hope you understand why I have worked my way to getting the first Indian woman solo circumnavigator on the records. Women have a crucial place in society. Women must outdo men in all spheres of activity except in the dispensation of violence. Naturally therefore, there has to be a woman or better still, women in Sagar Parikrama. Without her my concept of circumnavigation by an Indian is incomplete. The sea is the ultimate challenge to be faced and overcome in all its myriad moods. When an Indian woman sails solo around the world she will have achieved, attained a national hope,’’ he wrote. At least two more woman officers are expected to join the pool of sailing talent assembled at Goa, which has Vartika, Swathi and Pratibha as its core. Payal who is yet to do a long voyage will be looking out for that opportunity. One such chance will emerge in early February 2016, when after the upcoming IFR in Visakhapatnam, the all woman crew will take charge of the Mhadei and sail her back to Goa via Chennai and Kochi. In the meantime, the navy which had sought bids for a sister vessel for the Mhadei, is set to complete the process and place the order on Aquarius. The new boat, slated for delivery in January 2017, will be a replica of the Mhadei. In other words, training on the Mhadei will equip you to sail the new boat as well. If all goes as planned, then in August 2017 the Indian Navy’s all woman sailing crew will attempt its first circumnavigation – the first by an all woman Indian team – in the new sailboat, Captain Ashwin Arvind, Director (Sailing), Indian Navy said. In March 2003, at a hotel in Pune, a senior company executive checked his weight. He had spent years in sales and marketing. That was his forte. It was life chasing targets; there was travel, quick decisions, coordination of teams and much socializing to keep the sales numbers growing. The job shaped you. At his feet, the weighing scale’s needle hovered wildly for a while, then narrowed its range and settled on the correct number – 88 kilos. Sunil Shetty decided he must do something about it. Born 1962 in Mumbai, Sunil grew up in the city, attending Fatima High School and then, Ruparel College, from where he graduated in statistics. Although good at mathematics, this wasn’t exactly the career progression he wanted, for this grandson of a gentleman who once ran a restaurant in Mangalore desired to be in catering. But his bid to be accepted at catering college, failed. So he went into statistics, commenced a career in sales and marketing, complemented his college education with an Executive MBA from IIM Calutta and somewhere along the way even met the late Thangam Phillip, who headed the catering college he couldn’t get into. She was guest at a function, the company he worked for organized. Sunil worked 20 years with Nestle India, then some more at Johnson & Johnson (J&J), all in sales and marketing, a line of work that brought on those two unwanted bedfellows – 36 inch-waist and 88 kilos on his feet. The youngest of four children and raised in middle class values emphasising studies over sports, Sunil had grown up with an interest in football and cricket but no great presence on the playing field. In life ahead too, he embraced the popularly accepted practice of well settled life. It was so till the accrued weight of such existence settled atop that weighing machine in Pune. Sunil decided to take up running. Normally that is a major stretch for somebody at 88 kilos. But in Sunil’s case, he discovered he could run. “ I managed 2-3km comfortably on the first day itself,’’ he said. Back in Mumbai, after a few days spent getting the feel of jogging, he bought a pair of Power running shoes from a Bata showroom. He ran roughly four days a week. When he was around 15 runs old on his new shoes, a gym opened in the housing complex he stayed in. He shifted to the gym’s treadmill doing 6-8km every day. Alongside, he started to eat and drink in moderation. “ I haven’t stopped anything. I still eat well and drink but the idea of moderation set in,’’ Sunil explained. Within days of him taking up running at the gym, his wife Sangeeta joined him. After 18 months of running on the treadmill – 6-8km every day, four days a week – he found that his waist size was down to 32 inches and his body weight, 64 kilos. Life however was work-home-family-work. Running on a treadmill in a gym in one of the world’s biggest and most populated cities, he still knew none in running. Those days Mumbai’s running scene was a shadow of the movement it is now. In January 2004, the month and year the city hosted the first edition of the Standard Chartered Mumbai Marathon – it would change the local running scene forever – Sunil left Nestle India and joined J&J. J&J supported the NGO `Nanhi Kali,’ founded by industrialist Anand Mahindra in 1996. Thanks to this association, every year in time for SCMM, the company used to get 100 bibs, the availability of which was informed to employees over mail. Sunil would see this mail and let it pass for he had never thought of himself as a distance runner, who could tackle a marathon. However at the gym, he had this friend, five years senior to him, who walked 12km on the treadmill. That caught Sunil’s attention. He tried and found that he could run 12km. An amiable competition kicked up between the two, one walking, the other running; the distance rising alongside to 18km. Then, another friend suggested: why not try the half marathon at SCMM? In October 2008, Sunil looked up the Internet for training tips, enrolled for the event and ran his first half marathon at the SCMM in January 2009. That 3:03 hit Sunil really hard. Following the 2009 SCMM, Sunil went back to his daily treadmill run. But unconsciously and without any deliberate design, his regular 6-8km run occasionally extended to 10km; the distance was increasing. In October 2009, the annual mail about bibs from Nanhi Kali landed once again. It began tempting Sunil. Should he? Should he not? He spoke to Sangeeta. It was decided – they would both run; Sangeeta would do the half marathon, Sunil, the full. “ I promised myself I will train,’’ Sunil said. Like many others, he downloaded Hal Higdon’s training regimen and used it as a reference point. Training started late, only by October. As part of it, his four days a week on the treadmill was mixed with two days running on the road. 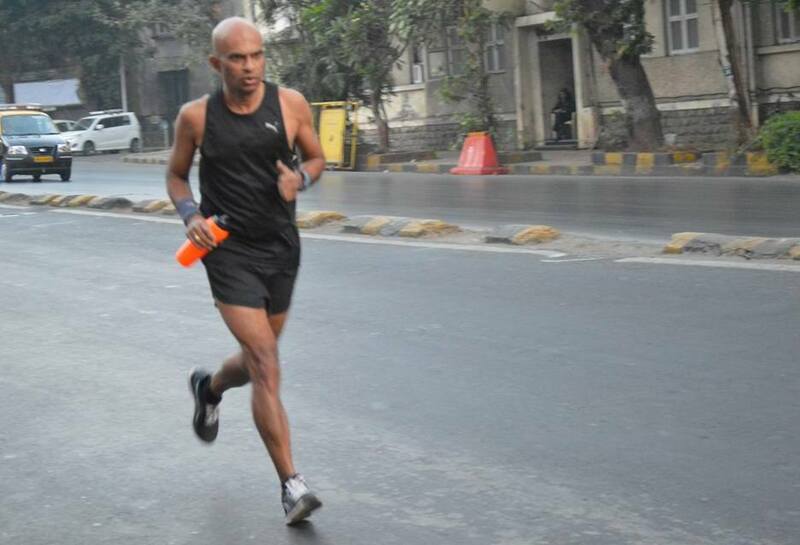 Running the SCMM full marathon in January 2010, Sunil cramped at 26km and walked the remaining portion. He covered the 42km-distance with a timing of 6:03. “ I was not as dejected as I had been the previous year running the half marathon. So I decided that I will continue running the full,’’ Sunil said. Sangeeta, out on her first formal half marathon, finished it comfortably and in decent timing. Born 1967, she used to be into sports in her school days. “ I liked running after I got into it. It keeps me fit and makes me a more peaceful person,’’ she said. Soon after the 2010 edition of SCMM – it was the first time they participated together in a running event; a format they have repeated since at many races – Sunil and Sangeeta embraced the discipline of regular running with SCMM for annual outing. 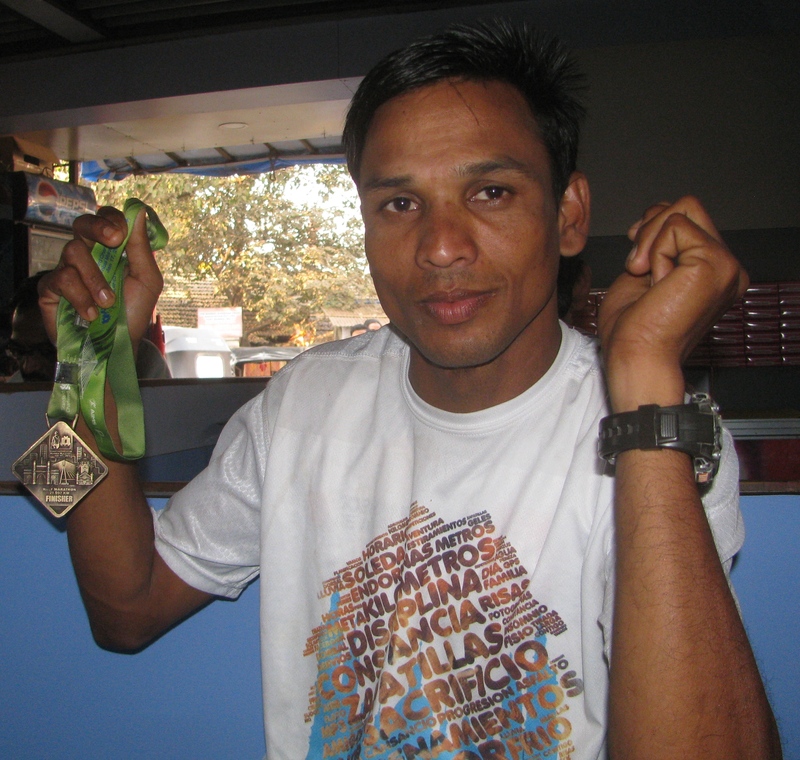 By the January 2011 SCMM, Sunil’s timing for the full marathon had improved to 5:40. He was now cramping at much later stages in the race. In June 2011, he quit J&J. From September 2012 onward, he became officially self-employed. “ I now had more time with me,’’ he said. One of its side effects was greater trawling of the Internet for ways to improve his running. Gathering information is easy; running efficiently is tough. For the January 2012 SCMM, he trained targeting sub-five hour timing in the full marathon. It eluded him. Striders is one of Mumbai’s running clubs. According to the Internet, it was started in 2006 by Praful Uchil and Deepak Londhe. Unknown to Sunil, his next door neighbour was Praful’s brother. When Praful visited, he introduced himself to Sunil and Sangeeta and realized that the two of them were runners. He mentioned of the upcoming Kaveri Trail Marathon (KTM), organized by Runners for Life (RFL). Sunil had heard of RFL. When he researched for more on KTM, the Bangalore Ultra popped up. A plan took shape – do the full marathon at KTM and follow it up with the 75km-run at the Bangalore Ultra. The first was in September; the second, in November. They began training systematically. Sunil ran his first KTM in 4:57. Sangeeta came first in the veterans’ category, her first podium finish. 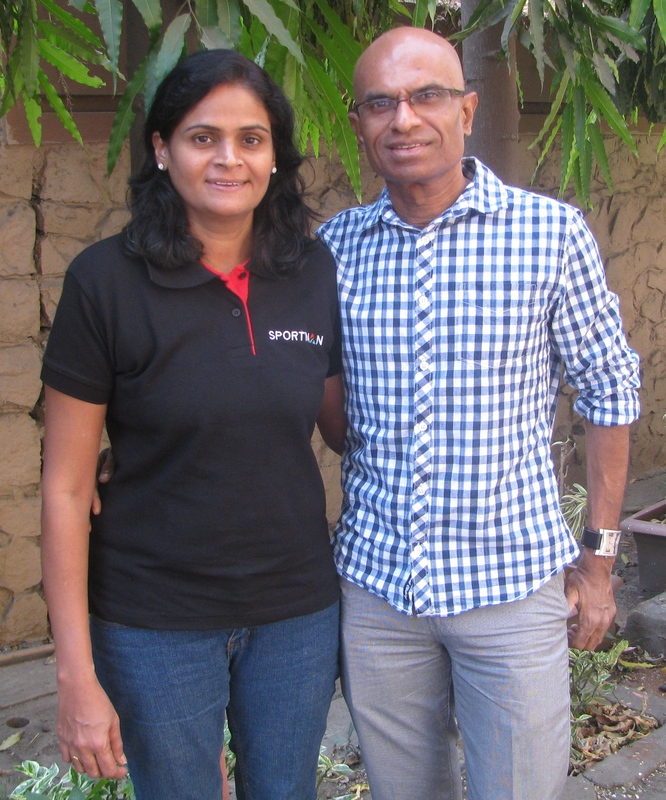 Later, in November that year, both Sunil and Sangeeta took part in the Bangalore Ultra. It was a loop of 25km in a forest composed mostly of Japanese Bamboo. The year Sunil ran it for the first time there were about 20 people in his age bracket, running the 75km-distance. Sunil finished in 10:23, earning first place in his category. Sangeeta finished first in her category in the 75km-run. A couple finishing so was reportedly a first for Indian running. The Bangalore Ultra marked a shift for Sunil and Sangeeta. Not only did they feel ready for a 100km-race, they felt their appetite reducing for the shorter distances. “ One thing about us is that we rarely keep doing the same distance again and again. We wish to attempt the bigger challenge,’’ Sunil said. However, it is a qualified challenge and not to be mistaken with simply increasing the distance or making a race rougher and tougher. Sunil, for instance, does not fancy such challenges like running between cities that are far apart or engaging in self-supported, multi stage expedition type races. He firmly favoured well supported runs, well organized events with proper support facilities. 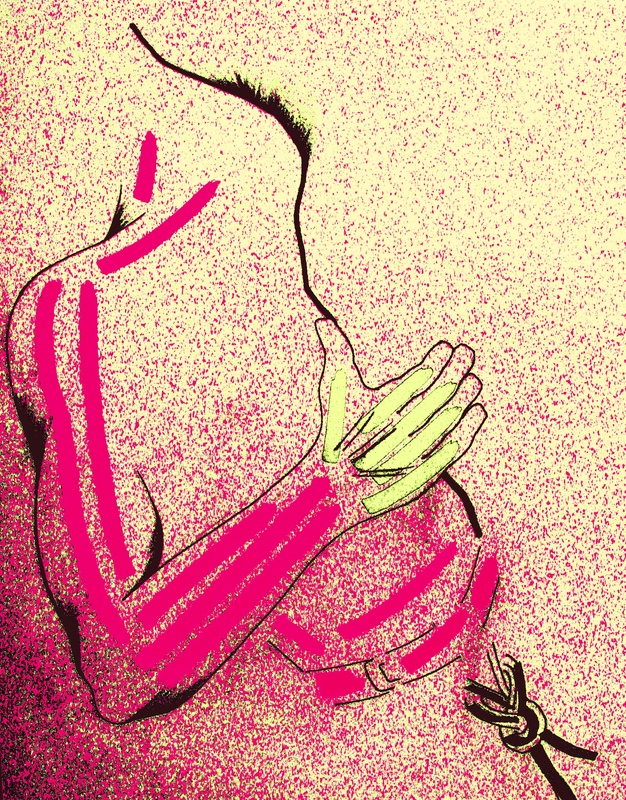 “ I don’t want to torture myself,’’ he said. Talking of cut-off stages, both Sunil and Sangeeta said that they prefer a single stage with reasonable cut-off time. “ Multi stage and unreasonable cut-off times make you tense. You don’t enjoy the run. I try consciously not to run fast. I will not pay for a race that puts me under pressure. The moment the pressure comes, I may not perform well,’’ Sangeeta said. This is one reason the couple like ultra marathons. Unless the multi stage, competitive paradigm intervenes as spoiler, an ultra is an escape from the shorter distances loved by evangelists of competition. 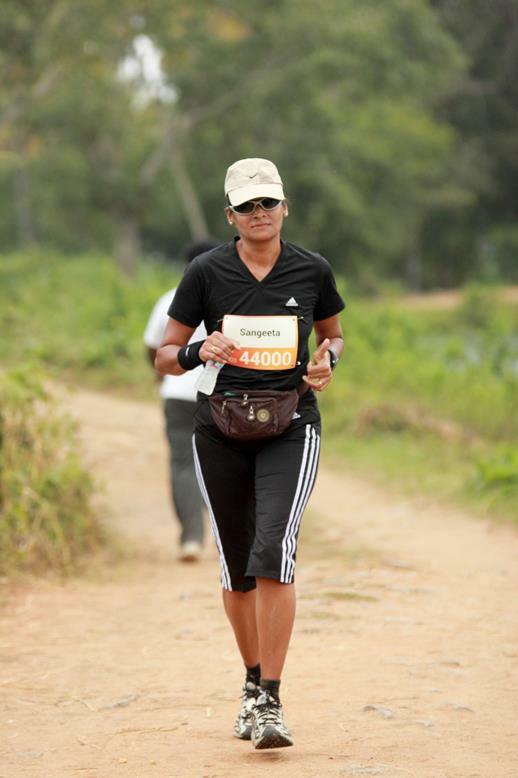 For the 2013 Bangalore Ultra, Sunil and Sangeeta registered for the 100km distance-category. Sangeeta finished first in her segment; Sunil placed second. As a well known couple from Mumbai into running, Sunil and Sangeeta are often invited to run the shorter distances. But their heart is with the longer runs. In 2014, Sunil and Sangeeta attempted the 24 hour-run category in the Bangalore Ultra. The run started at 5AM on November 8th that year and ended next morning, 5AM. Sunil covered 138km to finish first in his category. Sangeeta covered 120km to place second in her category. 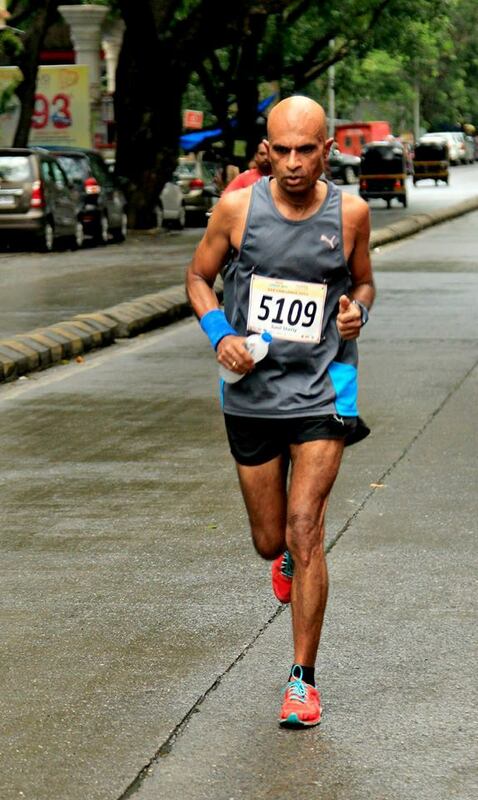 Ram Venkatraman is a longstanding runner and one of the founding members of Mumbai Road Runners (MRR). “ Sunil and Sangeeta are the most respected running family in Mumbai, nay India today. Apart from being highly disciplined and dedicated to their craft, which results in Sunil Shetty getting a personal best in practically every race that he runs, they are also the most warm, loving couple that you could find. Sunil’s knowledge on endurance sports especially running is vast and he therefore lends a helping ear to any budding runner. Sunil was rightly awarded the Most Inspirational Runner at the MRR Awards 2014,’’ Ram said. Sunil and Sangeeta have a daughter. 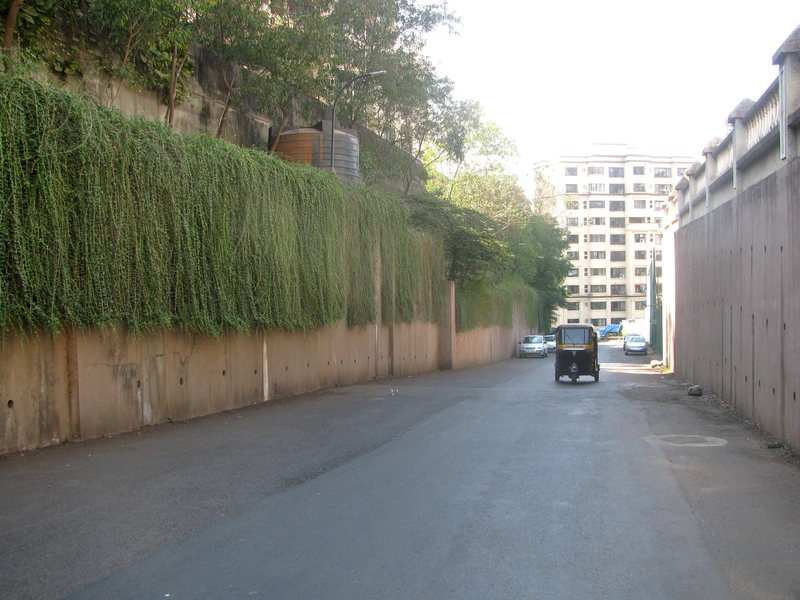 The family stays in a leafy part of Powai in suburban Mumbai. Their apartment is in a housing complex, which is in turn part of a much bigger complex. On the perimeter of this large complex of many residential blocks is a sort of-circular road, which thanks to the unevenness of the underlying geography has ascents and descents. A full loop on this road is approximately 1.5km long. This is daily training track for Sunil and Sangeeta, the laboratory for all those personal bests. It works in two ways. First, by running more and more loops you directly gain distance. Second, running loops toughens the mind to stomaching events like stadium based-endurance runs, where the biggest challenge can be monotony. Another aspect you notice when talking to Sunil and Sangeeta is that the mix of training and event-running – the proportion assigned for each – matters. YouTube has an engaging documentary on the great American athlete Edwin Moses, wherein the champion hurdler points out that compared to the days of training he did in a year, the actual time he spent competing was very small. When you reflect on that observation, you sense the truth you miss on popular television, which focuses on victory. We remember Edwin Moses for the several times he was the best in a discipline concluding on track in under 50 seconds of top notch hurdling. Add it all up and Moses hurdling competitively can be counted in the minutes in a year. What we don’t see is the hours, days and weeks of training away from the glamour of high profile sporting events and the glare of media. You find something of this in Sunil and Sangeeta. They are advocates of the requirement to train, they train regularly and even today, the number of events they participate in is modest compared to what many regular runners do. Further all the stretching of human potential, all the testing for enduring stress is done in the training phase. “ Both of us give our 100 per cent to training. I still don’t run more than four days a week and I do strength training for two days,’’ Sunil said. During off season the said strength training increases to three days – a wonderful pointer to how off season in the running calendar needn’t mean off season for runner. Once in three weeks, the couple try and do a 50km plus-run. To illustrate how he has prepared himself, Sunil said, “ at short notice, I can do 70-80km.’’ In an article in the Times of India following the 2014 Bangalore Ultra’s 24 hour-run, V. Anand pointed out that in the run up to the event, Sunil and Sangeeta had covered 1900km over five months, in training. This kind of dedicated training yields two benefits. First, given all that goes into the training, the actual event becomes a mentally relaxed, enjoyable affair – as mentally relaxed and enjoyable as you can make it, that is. For, every discipline as it happens still has its own challenges. Second, the systematic build-up with care for building a solid foundation, promises less injury and potentially longer life in running. There are other details too. Sunil does not advocate the sprint finish; that finish with a flourish, you see many people do. According to him, his last two kilometres in a race are typically the slowest as this helps the recovery process. Finally, the couple don’t obsess with timing. “ One of the reasons we have been injury-free is that we are not obsessed with timing. This is the thirteenth year of our running, we are content with what we have,’’ Sunil said when we met him and Sangeeta over two sittings in Powai (it was November-December 2015). Neither of them was ashamed of Did Not Finish (DNF). If the body says stop, they will. “ My body is more important,’’ Sangeeta said. Probe further – it is an outline of detachment and contentment that exceeds running and timing. “ I don’t believe that we need to provide for two generations after us,’’ Sunil quipped at one point in the conversation, a quip that is insightful of life in more ways than just making money. Including one in which, you find the time to run. January every year, Sunil and Sangeeta sit together, check the year’s running calendar and shortlist the events they would like to participate in. Typically what they choose to participate in (they are invited for more) don’t exceed 4-5 races. “ Perhaps an ultra, two full marathons and a half,’’ Sunil said. By way of suggestion for young people, he said that if you are running two full marathons and two halves in a year make sure that one of each variety is run well. And if you want to get into an ultra, make sure that you run at least 4-5 full marathons before attempting an ultra – it should be a gradual build up to such distances, not a jump and a jolt. Unfortunately the popular trend is something else. Thanks to competition and the need to prove, contemporary life’s dominant flavour is impatience. “ I find people wanting to reach where we reached in 13 years, in two to three years time,’’ Sunil said. So what is the future in running, the couple dream of? They do have running abroad in their list of things to do. But it is not a Boston or New York Marathon kind of aspiration. “ Something like – maybe a 100 miler?’’ Sunil said. He also has his rounds giving motivational talks wherein he encourages people to get into running, tells them that to get into fitness you just need to jog every day and not straight away tackle a formidable marathon. He advises them to look inside their own houses for company to run. “ I also tell them that if they manage to motivate one person a month to begin running, then it will start a chain reaction,’’ Sunil said. Now seasoned runners, both Sunil and Sangeeta are backed by Puma. Uniquely, despite such affiliation, one of the runs Sunil has been associated with (he is one of the founders) is an annual 10km-run called United V Run as 1 in which no prominence, no mileage by advertising is offered to sponsors. It would seem a counterweight of cleansing for all that happens as commercial running. “ Sunil and Sangeeta are a great inspiration for many Mumbai runners; individuals as well as couples. People consider them as role models. They are very down to earth, punctual and dedicated. I consider them very talented runners, friendly and always happy to share their knowledge,’’ Satish Gujaran, city based-ultra runner, said. Sunil now weighs between 56-58 kilos. Somewhere in Pune is a weighing scale that started it all.